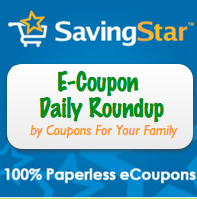 Here are today’s featured printable grocery coupons! To see the newest printable grocery coupons posted as they are released, make sure to join our Printable Coupons For free Facebook group here! Save with Printable Coupon: $1.00 on any ONE (1) any flavor of TABASCO Family of Flavors, 5 oz. or larger. $1.00 on any ONE (1) any flavor of TABASCO Family of Flavors, 5 oz. or larger.